An all-in-one system with facial recognition* and Amazon Alexa built in sends smart alerts to your mobile device. Easy to set up and use, the system grows with your needs thanks to a range of sensors and services. Easy to set up and keep watch from anywhere. The in-app process makes it simple to install it yourself, with no complicated wiring, and the accessories are powered by batteries that can last up to two years. Sometimes a quick notification that a loved one is home ok is all you need. With the free scheduled facial recognition service, Smart Home Security can do just that. It will even tell you if someone is unrecognized and alert you to watch a clip so you can see exactly who it is. Change your system's mode with simple voice commands. Ask built-in Amazon Alexa to switch on a lamp, turn up the thermostat, or dim the lights without lifting a finger. When combined with Honeywell Outdoor MotionViewers, your Smart Home Security system can help keep unwanted visitors away by working with your other smart devices to simulate an occupied home. The system can turn on compatible lights, and the 90-decibel internal speaker can play sounds like a barking dog, to make any potential intruder think twice. With Smart Home Security, you get more than the usual 'something happened'. A notification that the kids are home, prompted by facial recognition*. A video clip of movement in the yard, captured by a Honeywell MotionViewer. Helpful alerts that your window upstairs was open when you left home. An intuitive app makes it quick and easy to get alerts and view clips. Geofencing based control switches between home and away modes automatically as you come and go so you don't have to worry about forgetting to turn on the alarm when you've left the house. 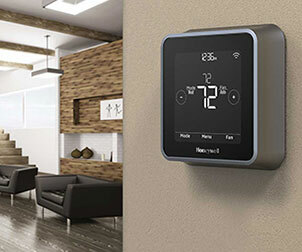 Plus it lets you control all your other smart Honeywell devices too. View, save, and share clips safely, and know that when you're home you can twist the cap for some added privacy. The Honeywell developed system already works seamlessly with other smart home brands, including Amazon Alexa, Google Assistant, and IFTTT. Going away? Use it with Z-Wave lights and IFTTT to recreate the brightness and sounds of a busy home to deter unwelcome visitors. There are many possibilities. *Scheduled Facial Recognition expected 2018. 2 hours Scheduled Facial Recognition service for 2 faces is included as standard. Facial recognition is not available in Illinois or where laws restrict the use of facial recognition. 7.3 x 3.6 x 3.6 in. Q: How many Camera Base Stations do I need for my home? A: You will only need one Camera Base Station for your home. If you have a large home, you might want to complement Camera Base Station with other products from Smart Home Security System. You can even add our line of WiFi Security cameras - Lyric C1 and Lyric C2 - if you want more "eyes and ears" around your home. They all work in unison, with one app that makes set up and use a breeze. Q: How many sensors do I need for my home? A: Smart Home Security is designed to accommodate a total of 25 products connected to the Camera Base Station. Most homes might not need that many. For instance, you might want to consider using Motion Sensors in lieu of Access Sensors to cover an area of your home. Similarly, you might want to consider MotionViewers instead of cameras, so you always know when people are moving in and around your home. Q: Do I need the app from Honeywell to use Smart Home Security? A: You'll need the app from Honeywell to install and configure Smart Home Security. This includes the Camera Base Station, and other products like Access Sensors, Motion Sensors, Key Fob, and MotionViewers that round out the system. 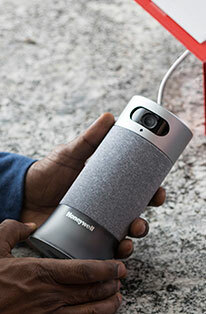 You'll also need the app to always know what's happening in and around your home, and view the live video feed from Camera Base Station or other Honeywell cameras like the C1 and C2 Wi-Fi Security cameras. 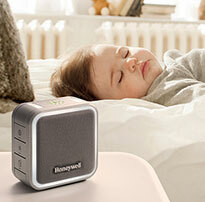 Q: What other products work with Honeywell Smart Home Security? A: The Lyric Thermostat, Water Leak and Freeze Detector, and C1, C2 WiFi Security Cameras all work with Smart Home Security through one app that makes set up and using them a breeze. We also integrate with most third-party devices and ecosystems through various partnerships. Q: Do I need to switch modes manually each day? A: No, Smart Home Security can automatically switch between HOME and AWAY using your phone's location, so you can just come and go. 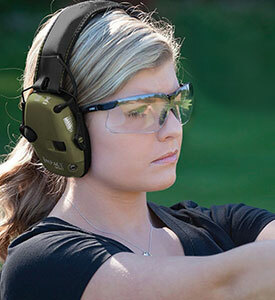 You can set up a virtual boundary around your home using the app from Honeywell. We call this your "Geofence". The system can automatically switch to HOME mode as you enter the Geofence, and it can automatically switch to AWAY mode as you leave the Geofence. If you've invited others to your home in the app, then the system is intelligent to wait for the first person to enter or the last person to leave this Geofence. Q: What if I want to disable the camera to protect my privacy? Q: What do the various lights and sounds on the Camera Base Station mean? Q: What does the 'microphone off' button on Camera Base Station do? A: The Camera Base Station only pays attention to what you're saying when it hears the words, Alexa or OK Security. As a first step to ensuring your security, voice controls are disabled in AWAY mode, so that nobody can walk up to Camera Base Station and issue any commands. In addition to this, we included a 'Microphone Off' button, so you can manually turn off the microphones on Camera Base Station by pressing this button. You'll notice a red halo at the bottom of the device when its microphones are off and it can't listen to what you're saying. Simply press the microphone off button again to have the Camera Base Station respond when you say Alexa or OK Security. Q: When will the Camera Base Station sound an alarm? Any time Camera Base Station sounds an alarm, you can expect to receive an alert on your phone so long as you're in an area with coverage and you've enabled our app to send you notifications. You can see what's happening by looking at the live video feed from Camera Base Station, and take the appropriate action.